Below you can view all the homes for sale in the Vinings Estates subdivision located in Smyrna Georgia. 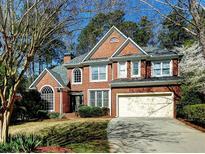 Listings in Vinings Estates are updated daily from data we receive from the Atlanta multiple listing service. To learn more about any of these homes or to receive custom notifications when a new property is listed for sale in Vinings Estates, give us a call at 404-998-4102. Screened Porch, Deck, Patio & Large Side/Back Yards. MLS#6536049. Berkshire Hathaway Homeservices Georgia Properties. Hardwood Floors Grace The Main Level, New Tile Floors In All Upstairs Baths, Chef'S Kitchen With Granite Counters And Stainless Appliances Open To 2- Story Fireside Family Room, Owner'S Suite With Bonus Room And Spa Bath, 3rd Floor Flex Room With New Carpet And Skylights, Custom Cabinetry In The Garage, Freshly Sodded, Private, Level, Fenced Backyard! Fabulous Neighborhood Amenities And Location! MLS#6535253. Atlanta Fine Homes Sothebys International. Fresh Paint Inside And Out, Two New Hvac Systems 2015,Water Heater 2017, Roof 2013, And More. MLS#6534400. Step Realty, Inc.. Built In Shed For Added Storage, Cheers! MLS#6522998. Keller Williams Rlty, First Atlanta. Resort-Like Amenities Include 3 Pools, Tennis Courts, Gym, Two Clubhouses & More. MLS#6512368. Berkshire Hathaway Homeservices Georgia Properties. 3-Car Garage/Circular Drive. Fabulous Cmmty Amenities. MLS#6505903. Coldwell Banker Residential Brokerage. Outdoor Oasis: Heated Pool, Spa, Cabana with Fireplace, Level Landscaped Yard, 2 Screened Porches, 3 Decks; Private Wooded Lot. 3-Car Garage. Resort-Like Community Amenities. MLS#6504914. Berkshire Hathaway Homeservices Georgia Properties. Oversized Master W/Sitting Area & Fireplace. Large Master Bath & Closets! MLS#6127751. Beacham And Company Realtors.